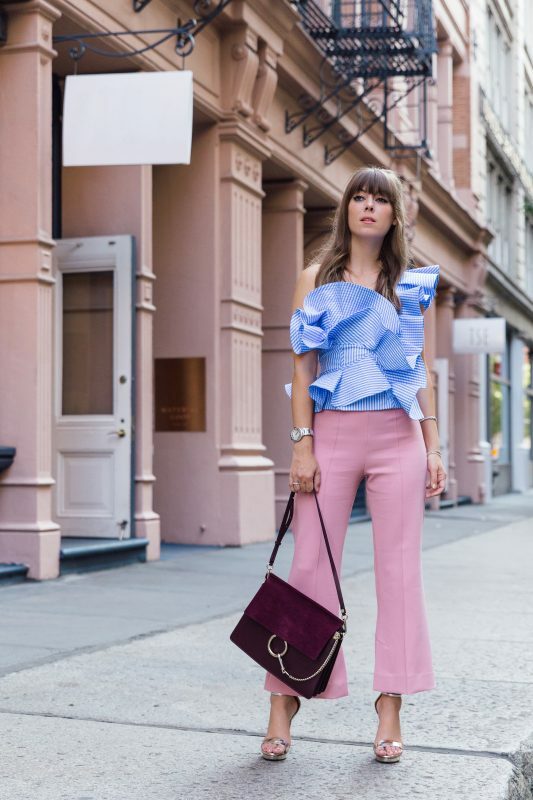 Meet Jenny Cipoletti, the L.A.-based fashion blogger behind the addictive site Margo + Me, where she documents her sartorial obsessions and jaunts around the world that are fitting to make any jet-setter envious. Where did it all begin? She discusses. Why did you launch Margo & Me? After studying communications and design in college, I immersed myself in the fashion PR industry straight out of the gate. While working at one of LA’s leading PR firms, Rogers & Cowan, I always felt a passion for aiding designers in the branding process and had an eye for graphics. The digital space was beginning to emerge around that time and I kept myself on the forefront, paving the way for my clients. After four years, I realized that I could be doing the same thing for brands but through my own platform. In 2014, I launched Margo & Me full time with my husband. Now more than ever, I have the opportunity to work with designers on a really personal level, which is the most rewarding part. Who’s Margo, by the way? Margo is my French Bulldog! What was your reaction when you read the Vogue article about bloggers during Millan Fashion Week? After reading the vicious banter between the editors at Vogue, I couldn’t help but remember this spite echoed in a similar conversation in the film The September Issue. There was resentment about celebrities in the fashion world—why are they on covers, attending fashion week, being sent free clothes? It questioned their value in the space and now bloggers are being questioned in the same way. The industry is shifting and you have to be blind not to see how different it is from 10 years ago. The power of the influencer is relatability, accessibility, and immediate gratification. It’s shocking that these women would resort to a low-blow publicity stunt, degrading some of the most inspiring women I know to bring attention to their article. Do you think the blogging business is changing? Absolutely, as does every “new” industry. Ten years since the original style stars made their mark, the most prominent change has simply been that there’s more analytical information, insight, and measurement tools available. When blogging first started, the effects were not really understood by the industry or by consumers, therefore data was not being produced and the effectiveness of a collaboration couldn’t really be tracked. Over the years, we’ve seen new companies crop up that measure, analyze and understand the data and the influence that bloggers have. It’s a really exciting time because with these new tools, brands and bloggers will be able to work together more effectively and the “fluff” will be eliminated. You seem to travel all the time! Where are you off to these days? It’s what truly inspires me and keeps my content fresh. It provides me with an open mind, and that translates directly into the content I’m building. 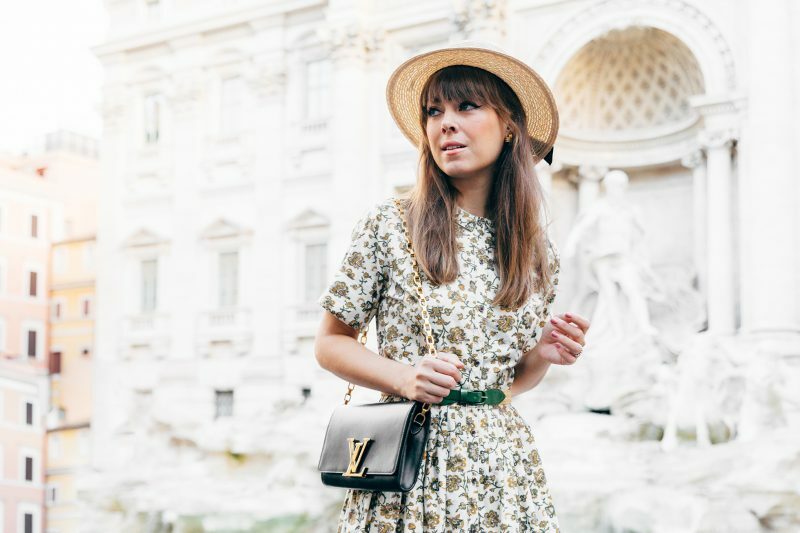 I just recently traveled through Italy with my husband. We started our adventure in Rome and traveled south to Capri and Positano. It was truly unforgettable! We’re currently planning a world tour for 2017; a few spots on our list are Bali, Japan, Cuba, Iceland, and Australia. Besides the obvious, I always travel with what I refer to as my “emergency kit.” It has everything from safety pins to double-sided tape, mints, bandaids, medicine of all kinds, Tide-to-Go. When you travel, you learn that the “basics” and “essentials” aren’t always what’s in your makeup bag, but rather what other countries just don’t regularly stock on their shelves. We just launched a YouTube channel. It’s a really exciting time as I start to share a more personal side of myself and my business. I think YouTube really enables content creators like me to share a more intimate point of view. Brigitte Bardot, Grace Kelly, and Audrey Hepburn. All of them were fearless in their pursuit of style because it was a direct window into who they were as artists and as women. Don’t worry about whether or not there is a place for you in the blogging world. If you have a strong message and unique voice, tell your story! Do your homework. It’s important to be well-versed in what’s going on in your industry. Stay up-to-date on the latest trends, editorials, and people of importance. They’ll inspire you to set the bar. Quality versus quantity: If you’re just churning out content for the sake of churning it out, is it really worth it? Make sure that everything you’re putting out into the world is something you’re proud to put your name on. It’s not a job, it’s a way of life. The difference between blogging and working a desk job is that you don’t have the opportunity to close your computer at 5 p.m. when your work day is over. Your life is your work and your work is your life. Make sure you’re prepared for that. Don’t be afraid to fail—and fail beautifully! You’re never going to know what resonates with your readers until you try it. Allow yourself to take big risks and throw stuff off the wall to see what sticks. You never know!